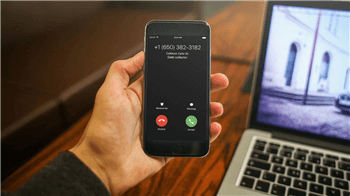 You have probably come across a situation when some unknown people, telemarketing companies or just annoying acquaintances intrusively try to contact you via the phone. Fortunately, there is a sure way to solve the problem of unwanted calls. You can blacklist any phone number and forget about annoying and suspicious callers. All you have to do is download a call blocker app for Android. What can Android call blocker app do for us? As you know, children are more gullible than adults, that’s why they can easily become victims of telephone scammers. These frauds can try to get details of their parents' credit cards or other sensitive information. Sometimes peers can also cause troubles by persistent calls at the wrong time. If you notice that unidentified numbers pester your child, it's a high time to block such calls. Call blockers allow creating blacklists and replenish them with unwanted contacts, unknown, and anonymous numbers. Additionally, some apps have their own databases of numbers involved in fraudulent activity and spam sending. You can also complete such databases by providing information about numbers you shouldn’t trust. To top that off, many call blocking apps have customizable schedules to set up a time when a person cannot be reached. They are able to make your phone inaccessible during the study, work or at night. 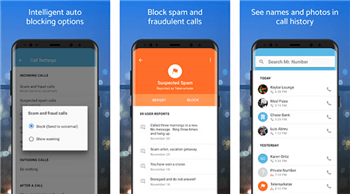 This is one of the best Android call blocker apps designed to protect against undesired calls and spam. This software can replace a standard text message function of an Android phone. 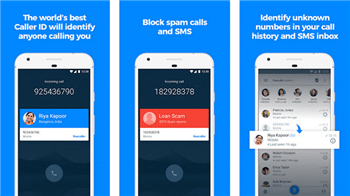 Truecaller supplies a large and regularly updated database of phone numbers involved in fraudulent schemes and spam activity. Users can choose to view calls and SMS from suspicious numbers or they can ban undesired numbers and contacts for good. This is probably the most powerful app in terms of available functions. Call Control allows users to block unwanted calls and text messages, ban automated calls using the community blacklist database, create custom blacklists, identify call numbers even if they are not in your contacts, create schedules when you cannot be disturbed, and much more. The app has an intuitive interface, everything is thought out and convenient. Call control has a free version. 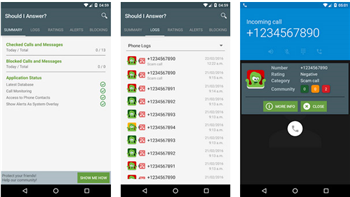 This Android call blocker app is as simple as it can be. The interface is straightforward and clear. 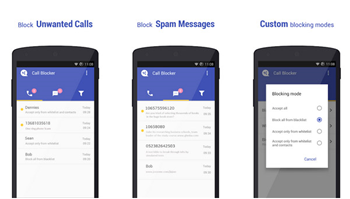 It's easy to block calls and spam thanks to the built-in black and white lists. The software also supports work schedules. For example, you can temporarily turn off all incoming calls while the information about them is saved on the app. Hiya has one of the best phone number databases around. At the same time, the application is absolutely free, it has an excellent user interface and many necessary functions. The software blocks unwanted calls and SMS messages with flying colors. You are also able to add text notes to specific numbers. 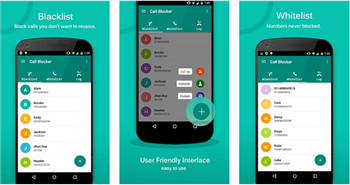 If you are searching for a free, simple and lightweight app, you should look closely at Call Blocker Free. The software has an intuitive interface and an impressive set of functions. The numbers of people who bother you can easily be added to a blacklist. 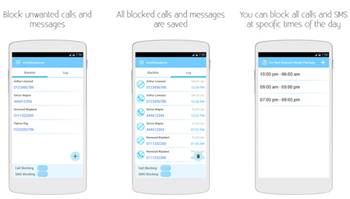 Call Blocker Free is a good choice for those who want a free alternative to more expensive apps. Even though AntiNuisance has minimum functions, the app works like clockwork. 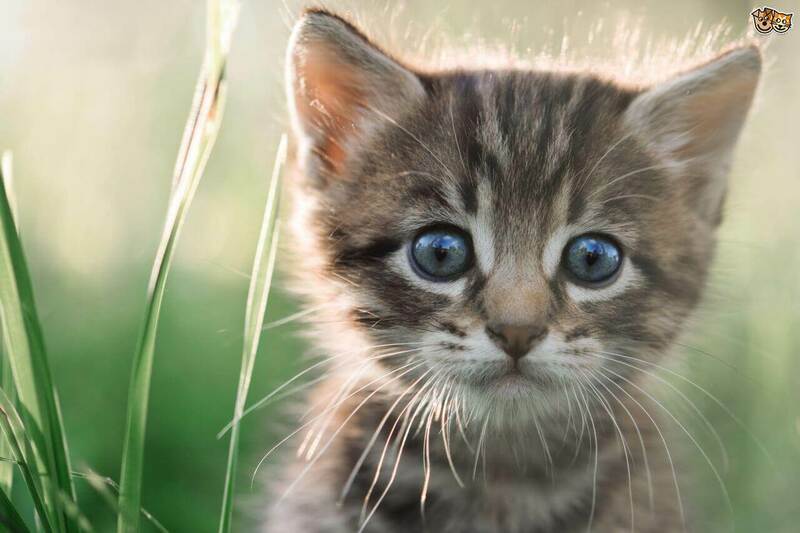 It is a lightweight and simple software. AntiNuisance doesn’t have a ready-made database of numbers, but users can easily create their own ones. 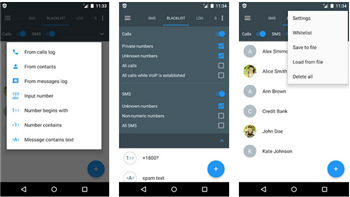 The app supplies a function to block all calls from unknown numbers. 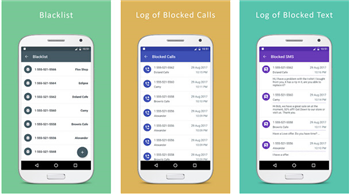 Call Blacklist is a heavyweight call blocker app for Android that can boast more than 10 million downloads. Its interface will appeal to most Android device owners. The program is easy-to-use and visually attractive. Despite being a free app, Call Blacklist has many useful functions. The app does an excellent job of blocking calls. It has a phone number database integrated into the program, which is supplemented by the users. It is also possible to add your contacts to the database. 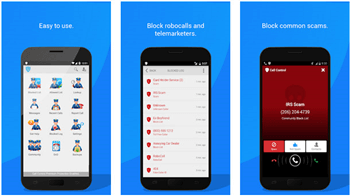 Mr. Number-block calls & spam is a free app allowing you to quickly block calls and SMS. It has the ability to support several Google accounts at once. You can send lists of blocked calls to your friends by using the "Protect Friends" function and share this data with your followers on various social media. Also, the app provides information about business users (company names, addresses, and so on). It is a great solution for creating personal blacklists. Numbers from blacklists are rejected without any signals. If required, you can view the statistics of blocked calls in the log. The app is convenient, simple, and it does not take up much memory on your device. 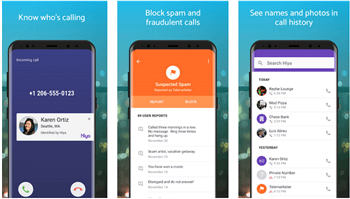 You can install a call blocker app for Android on your child's phone to protect him or her from potential scammers but this cannot save a little one from other threats. Therefore, to become a better parent you should consider taking a parental control app on board. FamiSafe lends vast possibilities to monitor and exercise control over your kids’ Android-powered gadgets whenever and wherever it’s needed. All the administering is done remotely from a control panel on a parent phone. With the help of FamiSafe, you are able to learn more about your children’s browsing habits, prevent Internet or gaming addictions, help them organize their time better, and monitor their movement when they are away from home. Thus, you can keep your kids safe even if you are not around. combine several functions to achieve a flexible control. 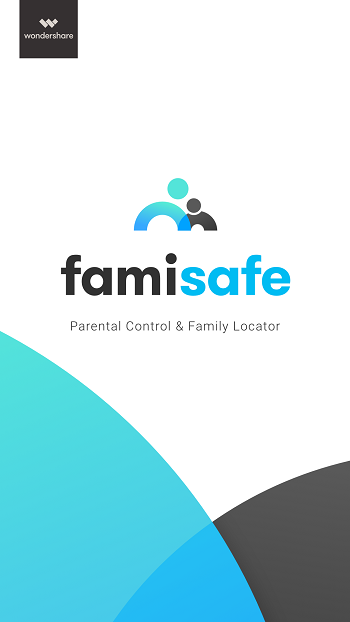 FamiSafe is installed on parent’s and children’s phones using the same account but different profiles. You should understand that our application does not run in the stealth mode, so a child will know that his or her actions are monitored. FamiSafe is available for a wide range of mobile devices (phones and tablets) running Android. You can download it for free from Google play and test it out. Once you try it yourself you won’t feel a need to have any other parenting control app.